March Madness is almost over!! 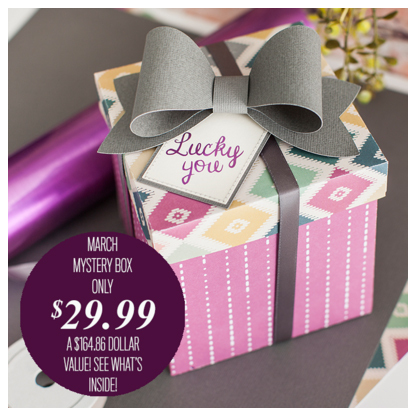 The third Mystery Box for March has been released by Cricut! This box is all about the Cuttlebug. It contains over 30(!!!) embossing folders! Use the code MARCHMADNESS to get 10% off your purchase (no minimum) and free US shipping.